The system has been designed and implemented as an automated distribution and delivery system for poultry feeding that has many useful and effective applications in the poultry breeding industry. In this system, distribution is convenient, fast and with minimum material loss at regular intervals and at a specified rate for breeding poultry. This saves feeding expenses and results in proper growth of poultries and, ultimately, results in a higher quality and lower price of the product (meat and egg). By using this system, a specified ration formula for optimum poultry breeding (Partridges, Quail, Chicken, Pheasant, etc.) will be distributed uniformly according to the number of poultry. This process is performed by using the mechanical and electrical mechanisms embedded in the device. This machine has a central food container that is in accordance with the feeding rate of birds in a given period of time. In more developed designs, there is a potential capability to change the capacity easily. Therefore, we can safely assure the timely and optimal feeding of the poultry using this system. 1. The first and the most motivator in using the aforesaid system deals with the quick feeding procedure. Regarding the breeding of poultries in industrial shelf like cages specially for laying poultries, the operator has been required to perform manual food distribution; obviously for high number of cages in average and high capacity salons, there has been a high rate of time wasted from the beginning to the end of seeding procedure. 2.Although there has been different systems for in-cage food distribution; using this innovated system, proper distribution and delivery of food to feeding containers of poultries is applicable easily. It should noted that all factors including removal of noise, and shadow, and avoiding stress in birds will result in a higher accuracy and speed that are the prominent features of the device. 3. 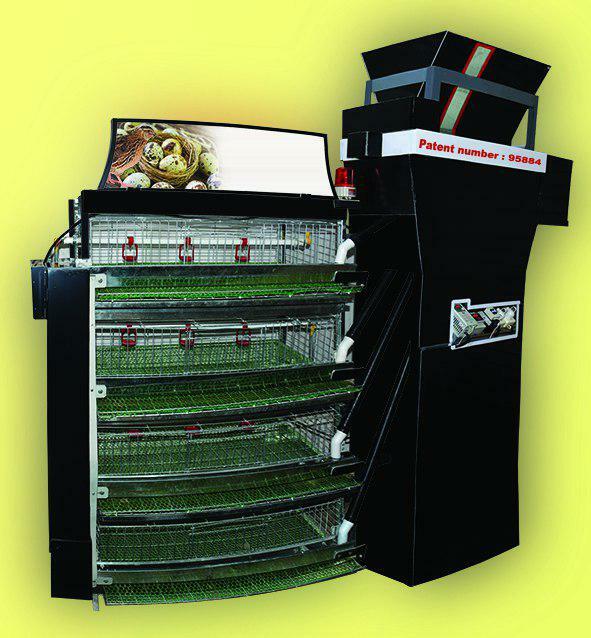 This system is capable to start feeding in food containers in a short time; for example, it requires only 12 seconds for feeding 150 laying quails or broiler quails in a 4-meters cage. Through turning on and off the device in the said process one may feed them properly and in even form. 4. In the formulas for the scientific feeding of poultry, especially laying poultries, the exact distribution of dietary intake at each meal is of particular importance. Failure to meet this requirement, many problems in the laying process would occur. Therefore, this device is able to solve problems related to over feeding or less feeding using scientific and industrial techniques. 5. Waste of seeds from containers through distribution process in both manual and automatic methods is of other problems of the section. The present device could solve the problem using its technical and mechanical structure. 1. If we want to compare the cost of energy consumption in this system with the cost spent by the operator physical feeding operation, we will observe a large economical difference. 2. 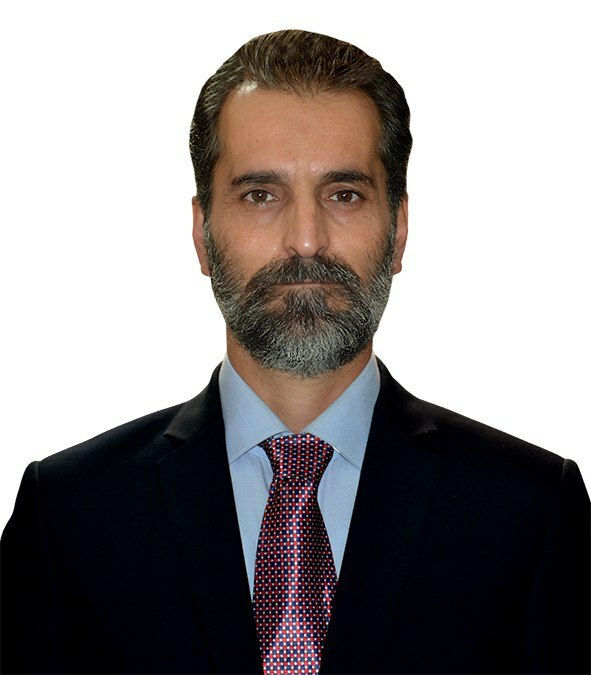 Compared to other food distribution systems which are in form of ducts hinged from the ceiling being built and installed with heavy electro motors and expensive equipments; again, in terms of power consumption, we will see a wide difference over the new distribution system. In such a way, the amount of switching-off time of both systems can be compared with measuring devices such as voltmeter, ampere meter and other existing samples, so that, based on the obtained numbers and figures, the most important breeding costs are achieved. 3. The cost of installing and implementing this system, compared to the manpower or other heavy costs of existing equipment installation and operation, is ignorable and therefore many economic benefits to the breeder would be achievable. 1. It is possible to set the system to turn on and off the device at regular intervals on a daily, weekly, monthly and annual basis. 2. Capable to start automatically from one second to several tens of seconds, based on the breeder's needs and the width of the hall. Also, the number of cages can be adjusted in the system memory, to manage the feeding process without the operator. 3. Capable to use the device on a daily basis from one time up to fifty times at a desired time each day. 4. Significant reduction in error or material wastage in the feeding process to a 100% compared to the existing methods. 7. Full coordination of rotational and other moving parts during the issuance of a start command and stopping the boom of digital automatic systems. Looking for a customer to buy the license (the whole invention). Page created at 2019-04-26 18:29:34, Patent Auction Time.